The festival of Nemuro Kotohira Shrine. “Reitaisai” is the most important festival among religious services held at the shrine each year. Every year, Reitaisai is held through August 9th, 10th, and 11th. You can see various booths at the main venue. 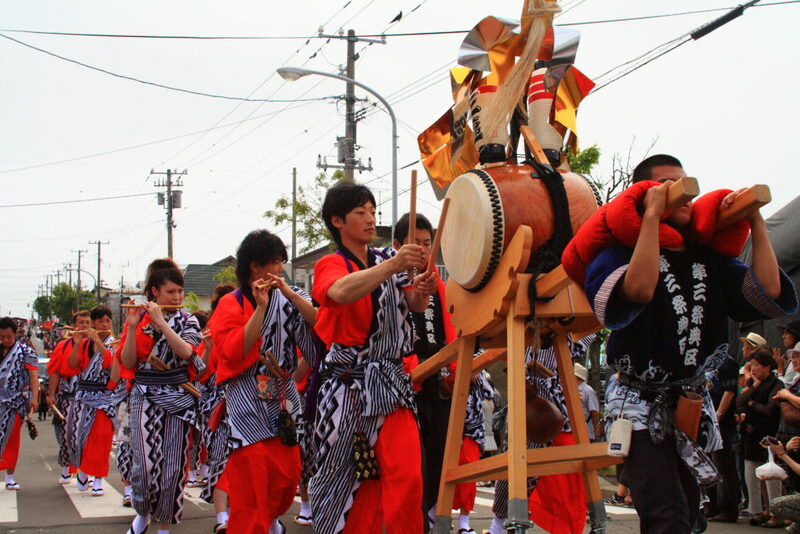 This is a popular festival where Nemuro citizens can get together. ＜SCHEDULE＞ Aug. 9th Dashi (Float) Competitive Playing 10th Portable Shrine, Saki Daiko (Japanese Drums) and Kanabo (Metal Rod Instrument) Playing 11th Portable Shrine ＜Dashi (Float) Competitive Playing＞ As well as “Dashi” being the word used for festival floats, “Dashi” is also the generic name of programs for religious services held in Japan. 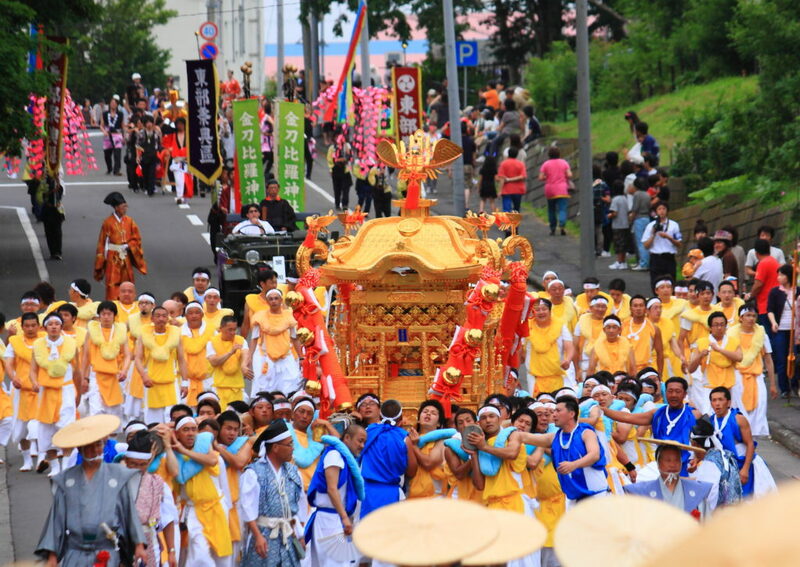 During the festival, float cars decorated in Japanese style go around Nemuro. ＜Omikoshi (Portable Shrine)＞ The Kotohira Shrine Omikoshi was manufactured in Kyoto in 1935, and it weighs 1.5t. It is usually displayed at Kotohira Shrine when not being used in festivals. 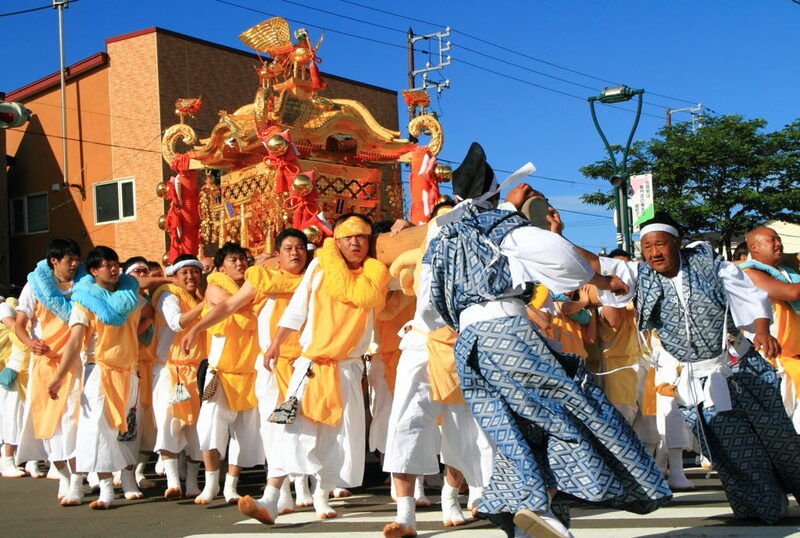 Only during the Reitaisai festival, the Omikoshi gets moved out of the shrine to be carried around the town by the citizens. Omikoshi is thought as the vehicle of gods at the shrine, so it is forbidden to look down the shrine from a higher position. ＜Sakidaiko (Japanese Drums) and Kanabo (Metal Rod Instrument) Competitive Playing＞ Sakidaiko are special Japanese Drums used only for this day. “Kanabo”, is a metal rod instrument that is hit on the ground. It makes striking sounds when metal rings hit the edges of the pole. Japanese flutes rhythmically make beautiful sounds.